It seems like we’ve been on warp speed this last week. Not much time for blogging so I thought I’d just share some of the pics I snagged on my phone. If you follow me on instagram, you’ve seen these. Some have even been floating around facebook. Amy over at A Good Life Blog hosts a weekly iPhone photo link-up. It’s a really fun way to recap your week. Testing out the hiker-pack we’re letting a friend borrow. // Showing me her art project from school. Enjoying some quiet time outside in the early morning hours. Fact: balloons are a fantastic prop for a toddler photo session. // In related news: A photo session wears the toddler out. We spent lots of time outside this weekend. We set-up Rylee’s sandbox. // And the neighbors hayed our field. Got the garden in working order. AND PLANTED! // Dante just tried to stay out of the sun. All the sun wore Rylee out. // My dad spoiled me by making me his famous breakfast. Did I mention we were outside a lot this weekend? We wrapped up the weekend by picnicking on the front patio. We also worked in a used book sale where we scored almost 30 books for $7! And Rylee’s first trip to build-a-bear. In short? Our weekend was glorious. This entry was posted in adventure, Breakfast, family, SUNSHINE, Super Dad on June 27, 2011 by katherine. I know I said it when I posted a photo of my sleeping baby toddler kid this morning but I will say it again. How is it possible that this little piece of perfection is 3 years old today. It boggles my mind. Last year I did a 2-year interview. I decided to make it an annual thing. She was not super cooperative this morning, but you get the jest. Sorry about the length. If you watch the whole thing I will reward you. Did you make it through the whole thing? Rylee all ready to go to school this morning! This entry was posted in birthday, Breakfast, family, growing up, montser, video on May 18, 2011 by katherine. Perhaps she has maybe, possibly inherited her mama’s Type-A tendencies? –OR– Perhaps she is simply a genius in the making. Yes, that’s it…a future genius. 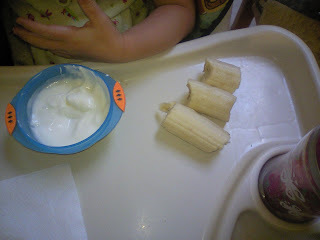 This entry was posted in Breakfast, mom fail, montser on July 18, 2010 by katherine. Isn’t the tag line for Cap’n Crunch “Crunchatize Me, Cap’n”? If not, then that is about the dumbest post title. Ever. 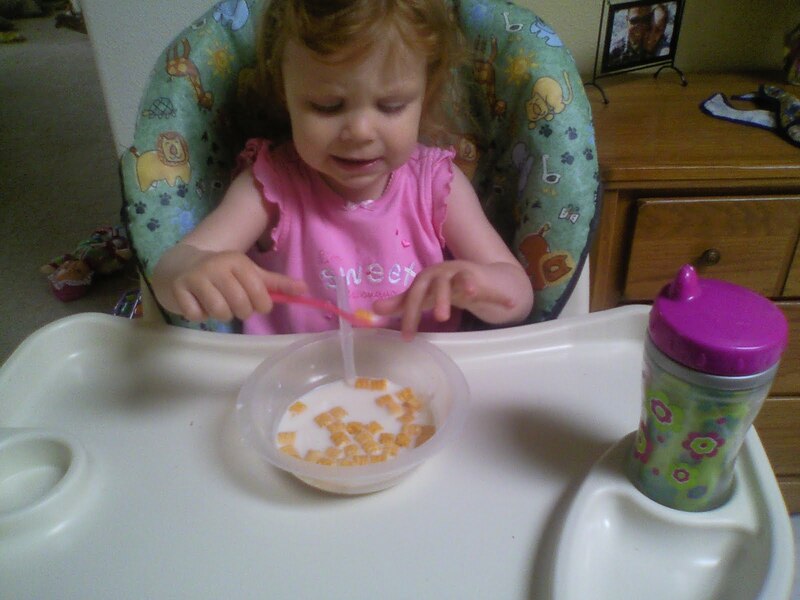 Anyway, it seems funny to me that my 2-year old loves cold cereal. The obsession came when she saw me eating cereal with my straw bowl and wanted to try it. She’s been hooked ever since. She had some cereal the other morning and I wasn’t paying much attention. But, when she said she was all done and I looked down, I noticed she had ate ALL the crunch berries out of her cereal. What a little monster! This entry was posted in Breakfast, montser, Terrible Twos on June 8, 2010 by katherine. You know I love you, but I really don’t like you right now! You know the saying, right? Well, that’s how I was feeling with Miss Monster Rylee this morning! Let me back up and first tell you that last night I started feeling cruddy…runny nose, sneezing, congestion, blech. I took some NyQuil last night and racked out. Andy was great last night…he made dinner, did the dishes and put Rylee to bed. And he got up with Ry both times she woke up crying last night (a somewhat-all-of-a-sudden-regular-occurance since she’s been so sick). I woke up this morning still tired and groggy from the meds. Rylee was in a seemingly good mood this morning…things started off just fine in fact. Then breakfast time rolled around. She decided she couldn’t decided between an orange or a pear and we stood there with the refrigerater door open for nearly a minute before I smartened up and realized I should just move her out of the way and close the door while she decided. Finally, the decision was an orange. Then she wanted some cereal to go with it. No big deal. I opened up the cereal cupboard and she chose Chex. Great choice. So while I was peeling the orange (which I am HORRIBLE at, by the way), she sat at the table in her chair with some cereal in front of her. Next thing I hear is the sound of cereal dumping all over the table! Awesome. She got to the box, pulled out the bag and dumped it out because she wanted more. She then preceeded to “accidentally” push some into her lap and squish and crunch it under her bum. Even better. I managed to get it dumped into a bowl and the crumbs all cleaned up. She ate her orange and all was well…or so I thought. 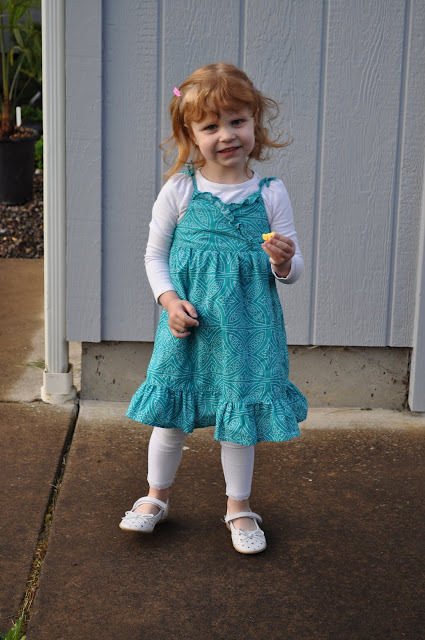 When it was time to leave for Grammy’s house, she told me she wanted to wear her boots. For some stupid, crazy, no good reason, I told her no. I’m pretty sure I was still grumpy about the cereal thing. Either way, I made my decision, NO it was. Well, of course she was not happy about that! These boots are her new favorite thing! The boots mean that she gets to go outside in the wet, muddy goodness that we call Oregon Spring. As soon as I told her no, I questioned myself, realizing that was stupid, but while we begin this whole thing called discipline, I needed to stick to my word. Needless to say, a nice raging fit followed my no. How on earth such a normally sweet little kid can scream “boots” so loud is beyond me. While I stuck to my guns and she wore her pink tennis shoes, I did concede and we brought the boots with us. Now, hours later, as I sit here and read the story I just told, I’ve decided I am completely ridiculous. Was I seriously that upset over cereal and boots!? Reality check. Take a deep breath. Relax. She’s nearly 2. She’s not perfect. You’re not perfect. Pick your battles. Look at the bright side, your dog will be more than happy to clean up any leftover crumbs tonight and you still got to work on time! This entry was posted in Boots, Breakfast, Discipline, Terrible Twos on March 10, 2010 by katherine.